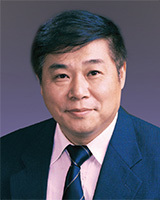 Prof. Wang is an expert in electrical engineering, with research interests focusing on high voltage vacuum switchgear, intelligent device in power equipment, as well as computer-aided design and computer-aided manufacturing technology in electrical apparatus. He now serves as Professor of Electrical Engineering at Xi’an Jiaotong University (XJTU) and has been Director of the State Key Laboratory of Electrical Insulation and Power Equipment since 2004. He is Chairman of Professional Branch Committee on Intelligent Electrical Power Equipment and System of the China Society for Electrical Engineering since 2017.